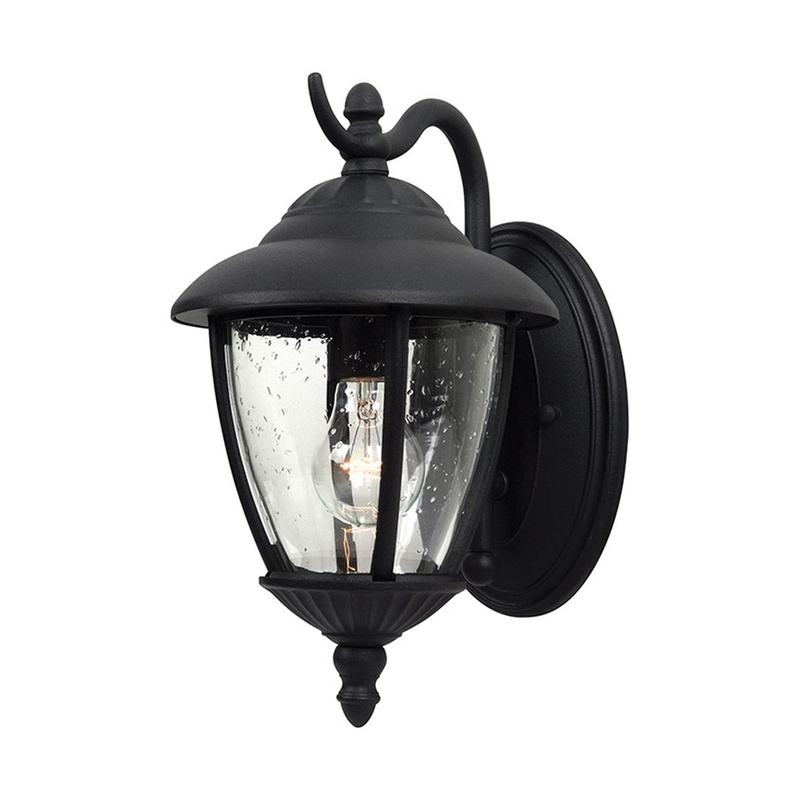 Sea Gull Lighting Lambert Hill Collection Outdoor wall lantern in black finish, has die-cast aluminum construction for added durability. The clear seeded glass shade ensures uniform light distribution. The classic style lantern with medium socket, can accommodate one 100-Watt A19 incandescent lamp. It has a voltage rating of 120-Volts and fixture wattage of 100-Watts. It measures 8-Inch x 13-1/4-Inch. The lantern has 5-1/2-Inch x 1-Inch x 9-Inch base backplate, 10-Inch extension from wall, 8-1/4-Inch center to top height and 6-1/2-Inch lead wire length. It is suitable for residential application. Outdoor wall lantern meets Title 24 and UL standards.